Essentially, Praxis means practice. The artistic practice and yoga practice share the common methodology of examining, processing, and transforming the lived experience into creative self-expression. 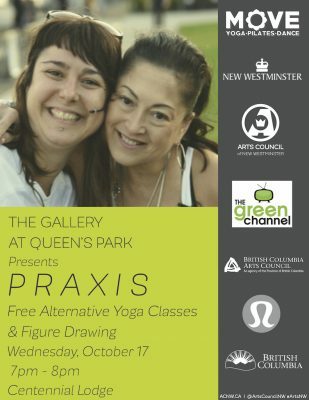 The Gallery at Queen’s Park’s is celebrating this commonality by creating a shared space for art forms and yoga through Praxis. Praxis invites artists to practice figure drawing of consenting yoga class participants. This supports barrier-free access for members to practice drawing the human figure in dynamic poses, in a positive and engaging environment. This unique offering explores an understanding of the human body as a form as well as a tool. Each class will also include a post-class social where participants can connect over food or drinks from local businesses. In an effort to increase space for self-care that supports physical and mental health, provide access to figure drawing, and build community, The Gallery at Queen’s Park is partnering with The Green Channel to offer this barrier-free monthly event in which instructors Jenni Higgins or Hillary Keegan will be leading a sensory experience that unites yoga, dance and movement, sound, and visual art. 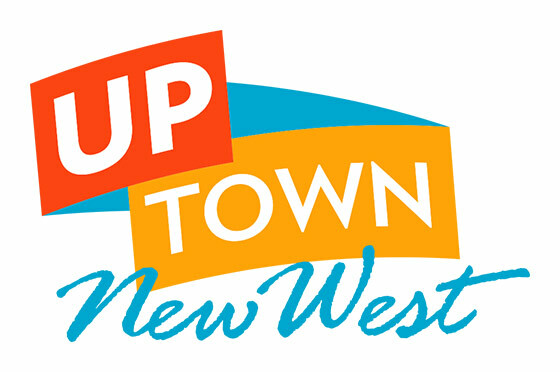 Jenni Higgins teaches yoga across the New Westminster and Burnaby area and is the owner of MOVE Yoga.Pilates.Dance Studio in New Westminster and a Lululemon Ambassador for the Burnaby/New Westminster community. Hillary Keegan teaches yoga across the Burnaby and New Westminster area as well and is an Alumni Lululemon Ambassador, Mala Collective Ambassador, Spiritual Gangster Ambassador, SUP Yoga, Van-Mermaid Ambassador, VEGA; Kings Island & Sage Advocate. The Green Channel is an exclusive and curated streaming service dedicated to giving a voice to all living things. Our informative and entertaining films shine a light on today’s most pressing environmental challenges — and the creative, hopeful solutions that can drive change. We know that we can accomplish more together than alone. That’s why we’re building a community of passionate and informed environmental advocates, and supporting community events, like Praxis! Add your voice to the call to protect all living things, and join a community of people who care as much as you do about protecting our world and the living things who call it home. Subscribe now. Lululemon Metrotown Our vision for our store is to create more than a place where people could get gear to sweat in, we want to create a community hub where people could learn and discuss the physical aspects of healthy living, mindfulness and living a life of possibility. It is also important for us to create real relationships with our guests and understand what they were passionate about, how they like to sweat and help them celebrate their goals. Today, we do this in our stores around the globe.